Beautiful lakeside views, roaring log fires and candlelit alters are quintessentially a couple’s dream for a winter wedding. Winter weddings are typically smaller, more intimate and packed with atmosphere. 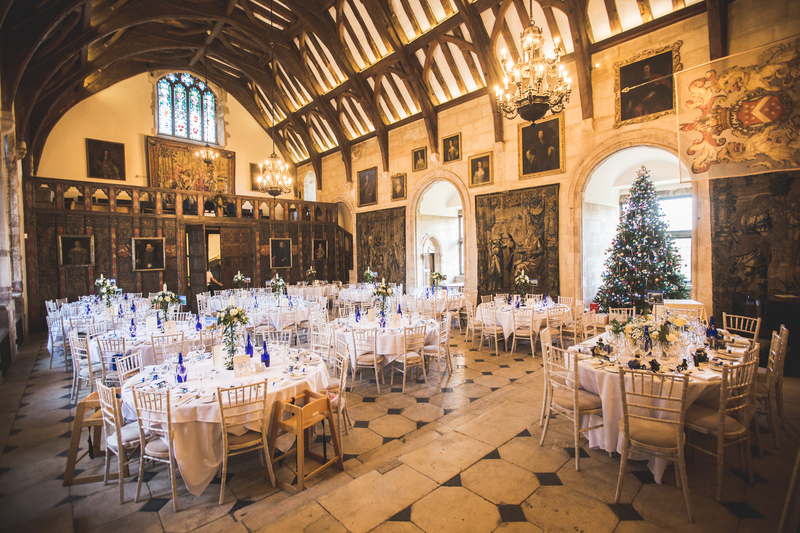 From snow covered turrets to hot chocolate or mulled wine instead of champagne for your reception, the finishing touches to a winter wedding venue can be astonishing. For any winter wedding, little is more and when it comes down to picking your colour pallete, silver and white crystal features add a touch of sparkle and glamour. Whether you opt for an elegant icy-fresh look or a red berry theme; snowflakes and pinecones are tried and tested winter wedding motifs. 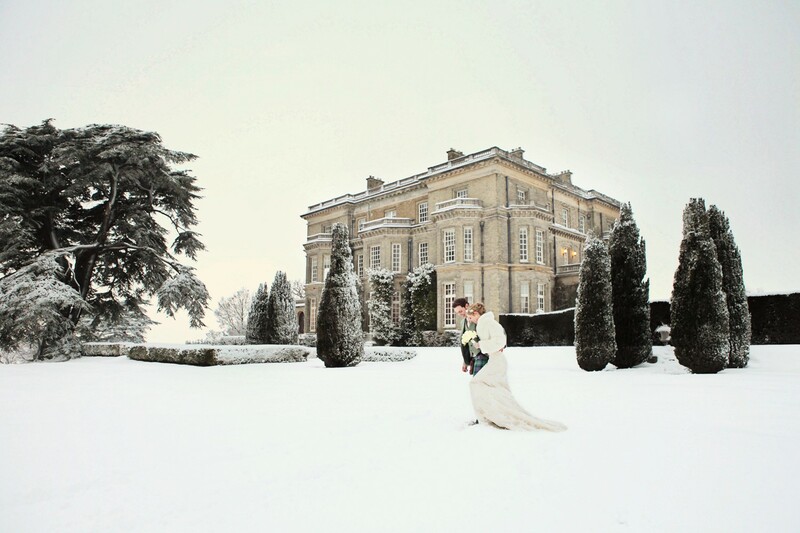 So if you decide to plan a cosy Christmas celebration or a wedding to usher in the New Year and new chapter, we have the perfect guide to 6 venues for a winter wonderland wedding in the UK. 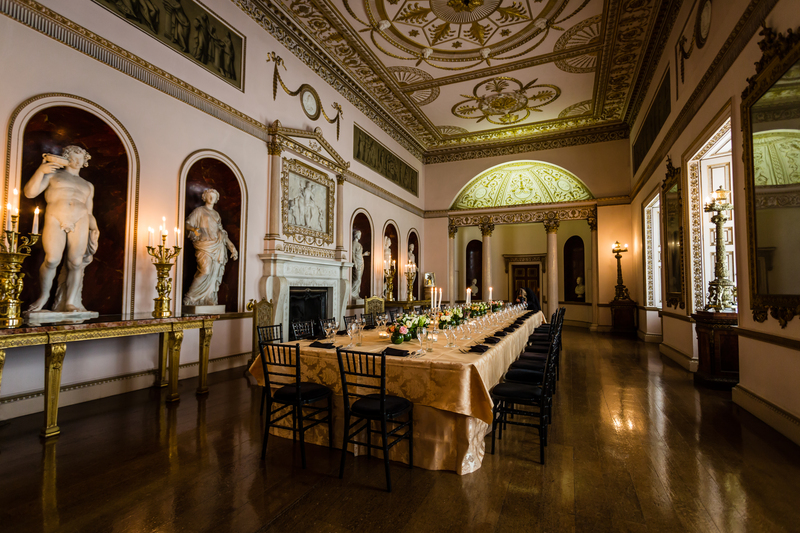 Syon House can host civil ceremonies and smaller more formal receptions. 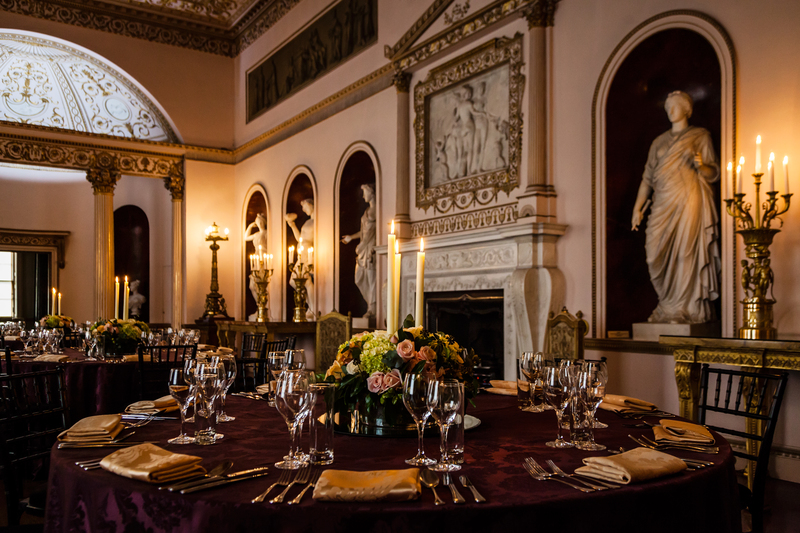 Though Syon House cannot offer areas for dancing during winter, they do offer beautiful luncheons, high teas, drinks or formal dinners. There are two function halls which can be used: The State Dining Room and The Duke’s Private Dining Room. The State Dining Room can host a maximum of 50 guests, with a roaring fire and it is a popular choice for a candlelit ceremony. It is lit by a series of golden torchieres and is filled with LED tea lights and gold Syon chairs. Set amongst 50 acres of stunning gardens and land in Egham, Surrey, Great Fosters is a stunning backdrop for a winter wedding. 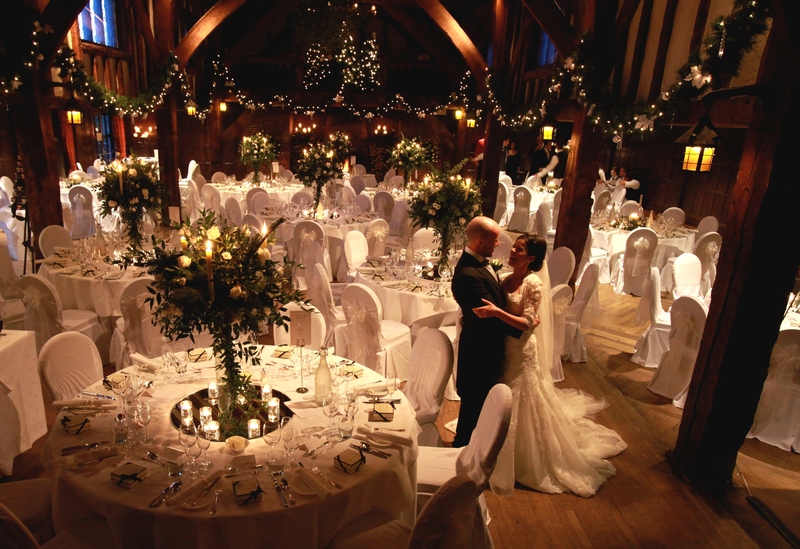 Great Fosters is licensed to hold civil ceremonies and civil partnerships and what a romantic location it is; with its log fires and oak panelling. Hedsor House is a stone’s throw from Central London, with a real countryside feel. Away from the hustle and bustle of the city, it can be transformed into an intimate wedding venue. Every bride will recall the moment she leaves the bridal suite and descends the Grand Staircase which has an astonishing collection of 12-foot portraits of Hedsor’s former royal guests. As the bride walks down the stairs and into the Centre Hall, there is no feeling quite like it and with winter inspired décor, there is no doubt you will have the winter wedding of your dreams. ‘If you wish to be married off site, test out how far the venue is from the ceremony. Transportation for guests may be necessary if it is cold or wet. If you are planning room layouts and capacities, many winter brides prefer having a wedding breakfast inside and ensure you have plenty of hot toddies at your disposal. Finally, ensure your photographer has visited the venue, so if you encounter bad weather, there is always a back-up plan’. Warwick Castle is the perfect venue for opulence and history combined. 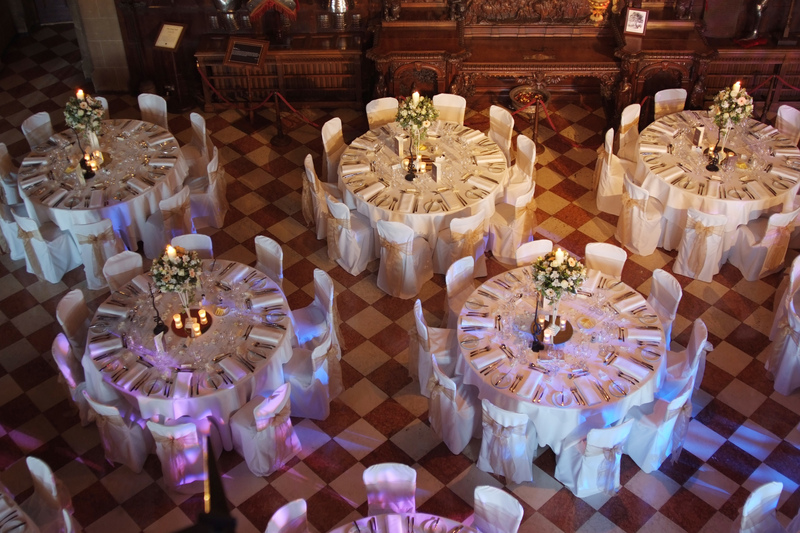 From an intimate ceremony to a magnificent reception room, Warwick Castle is a great way of creating a bespoke wedding, tailored to your needs. Warwick Castle has one of the largest Christmas trees around coupled with Santa’s Grotto in the red drawing room. 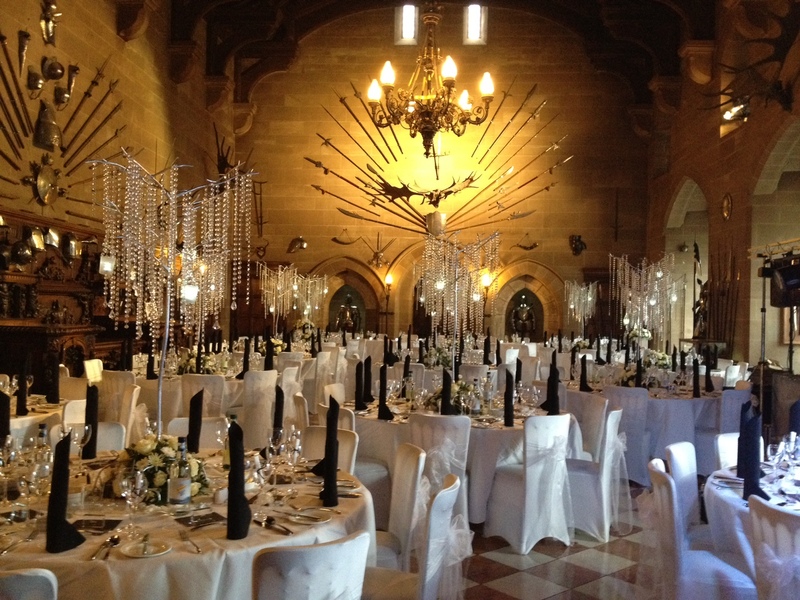 For a winter themed wedding, you can take over the Great Hall and State Rooms for your ceremony and reception drinks. You and your guests can enjoy festive handmade canapés and a glass of warm mulled wine for added festive spirit. A three course wedding breakfast can be arranged or a traditional Christmas dinner with all the trimmings. 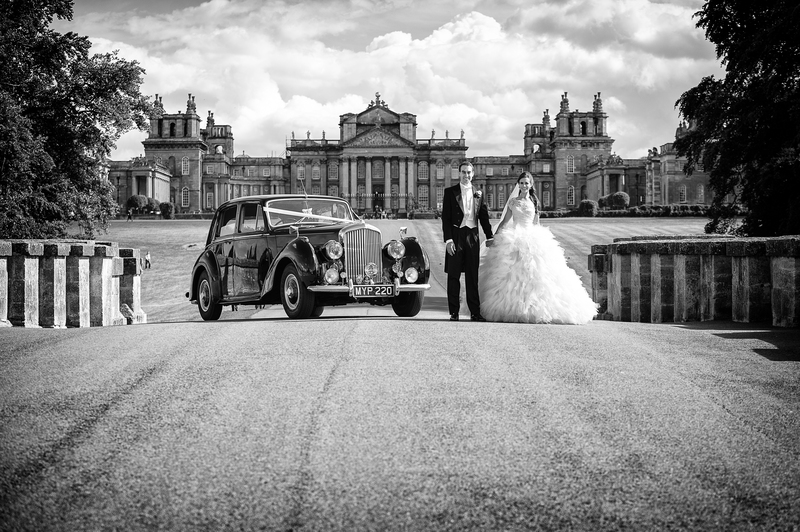 Let’s be honest, Blenheim Palace is a magnificent and magical location for any wedding day. As a backdrop for many celebrity weddings and many notable films, it is truly a perfect setting for a winter wonderland wedding. With a collection of six venue spaces for different elements of your wedding, you can choose to host your ceremony in the Orangery and Marlborough room and then continue to celebrate in the Great Hall and ornate Long Library for your dinner and reception. 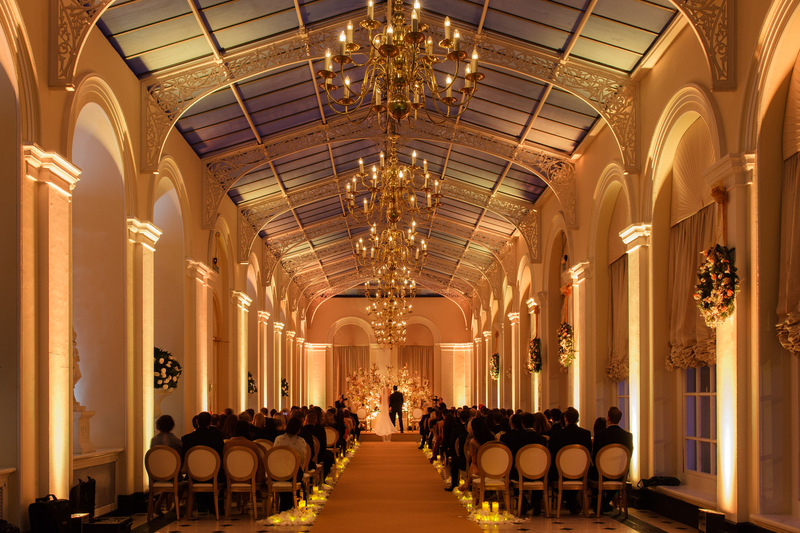 The Orangery is one of the most elegant venue spaces and can be easily transformed into a regal winter wedding. With high ceilings, huge arched windows and a panelled roof made of glass, the private terrace overlooks the Italian Garden. 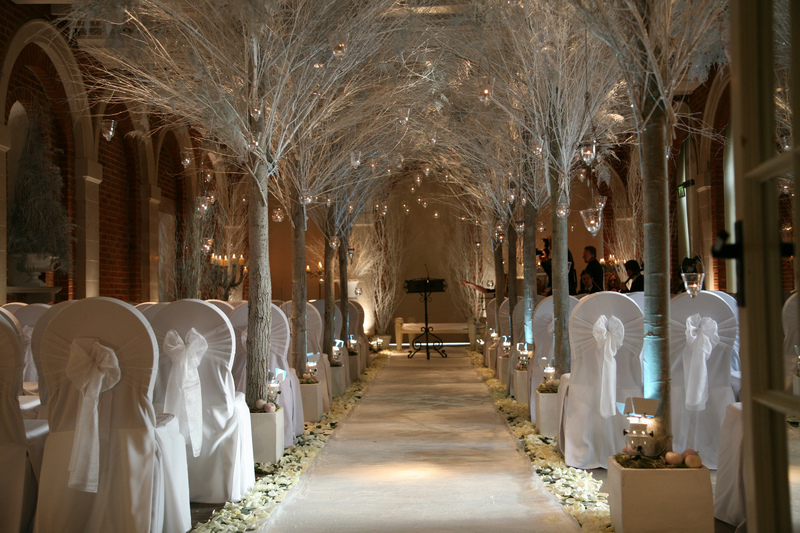 Use fairy lights, candles, fake snow and crystal winter trees to add a touch of sparkle to your ceremony. The use of white flowers such as orchids and birches branches and warm lighting will automatically create a cosy wintry atmosphere. 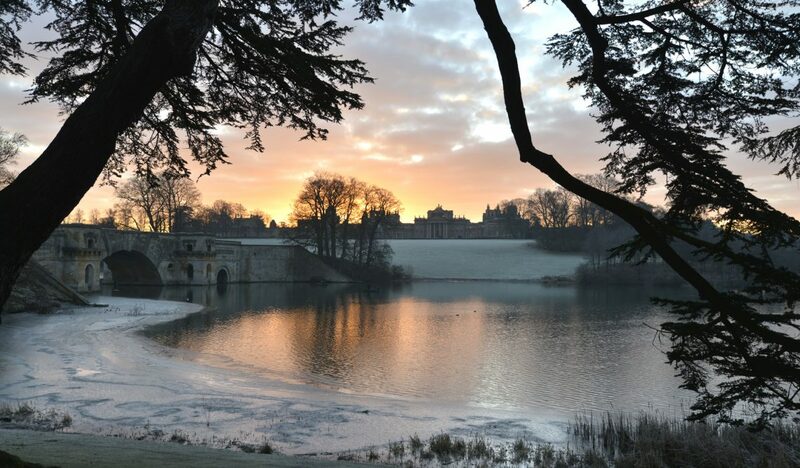 Blenheim Palace is a masterpiece of 18th century baroque architecture and has stunning grounds, perfect for the horse and carriage for your winter wonderland wedding. With vast grounds surrounding the palace and an unrivalled picturesque landscape, you will be inundated with places to photograph for your wedding album. 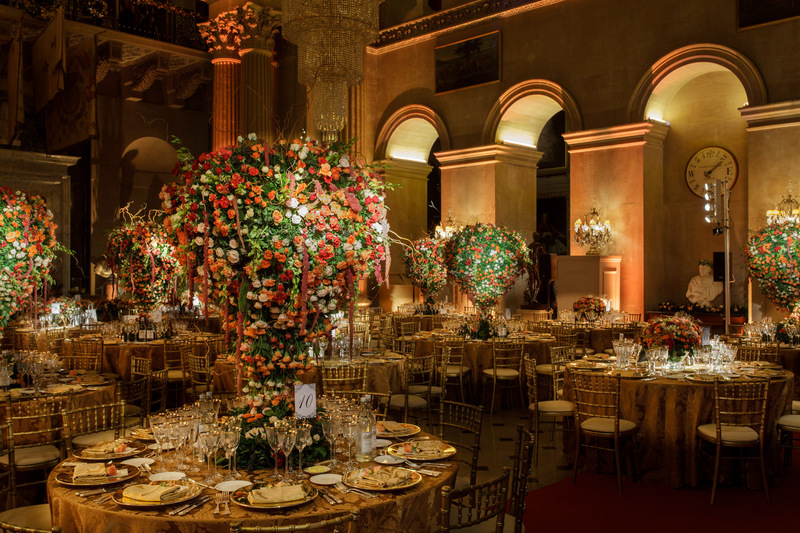 Blenheim Palace has a dedicated team of wedding planners, so if you feel under pressure or need the finer details pinned down, the team can certainly help orchestrate your dream winter wonderland. Every bride looks forward to becoming a real-life princess on her wedding day. At Berkeley Castle, brides can choose to arrive through private gates to the frosty grounds of the castle, with a glorious medieval fortress amid the backdrop. Ceremonies can be conducted in the Long Drawing Room or the Great Hall and if you are looking for a traditional church wedding, then St Mary’s is only a short distance from the castle. At your reception, Berkeley Castle can provide warm drinks in a romantic drawing room, before heading into the Great Hall for a delicious wedding breakfast. With a stunning interior and a dreamy and idyllic setting outside, it is a popular choice for any wedding album.